3. Non-smoking Educational Center„EKO-Nec“ from Kragujevac, project „The contribution to media reporting on Chapter 27 and a circular economy”“. 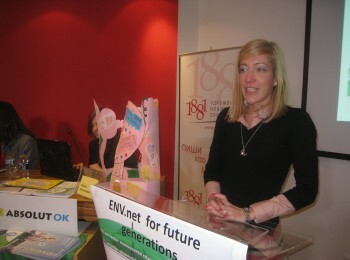 During 2019 and partly in 2020, organizations will work to promote the concept of circular economy through entrepreneurial activities of young people at the local level, with customized trainings for different target groups, from children of school age, teachers, parents, representatives of local government, to reporting on the undertaken activities and results achieved, aimed to improve the state of the environment in terms of local sustainable development. The projects will start with implementation on February 1, 2019 and will include over 200 participants from participating local communities and organizations of sub-grantees. 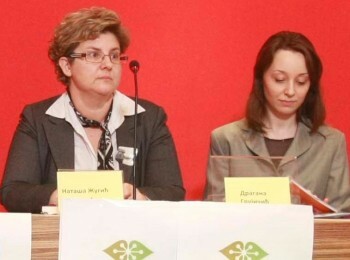 We expect the first results in April and we believe that the concept of “circular economy” will not remain as a good idea that is being talked about, but will become an integral part of future entrepreneurial initiatives, from youth and educational level to business and economic, in order to improve initiatives and raise awareness on need to protect the environment and to safe resources as much as possible. 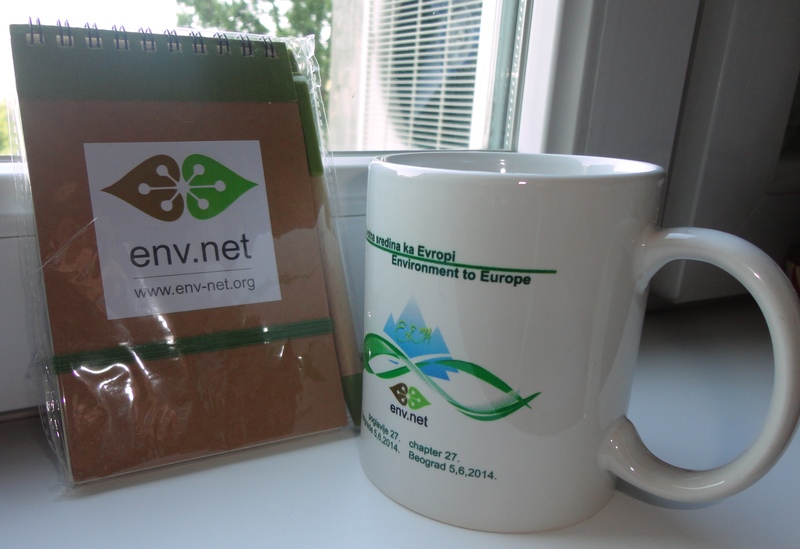 We are happy to announce the beginning of the third phase of ENV-net. 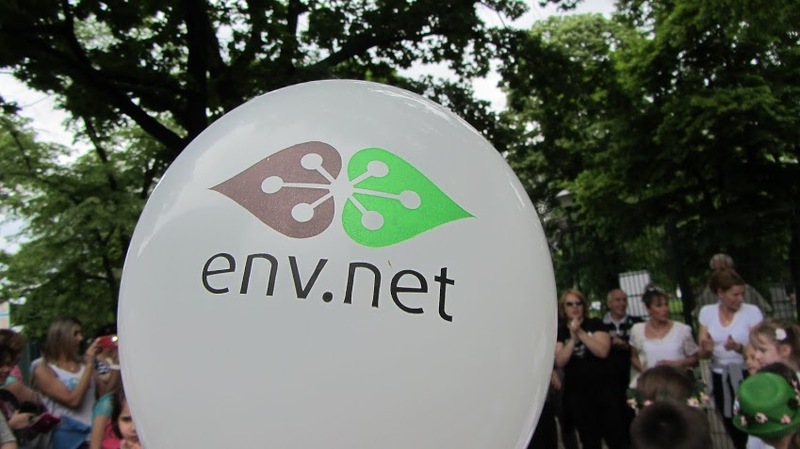 After 5 years of activity, the ENV-net today, counts for a member in each Instrument for Pre-accession Assistance country, this includes two newly joined organisations from Montenegro, and Bosnia and Herzegovina which co-operate with the network since 2016. 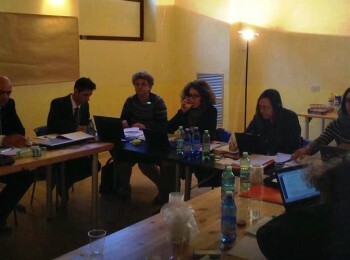 The network is supported by partners in Italy – punto.sud and Belgium – European Environmental Bureau – EEB, both bringing to the network experience and best practices from two EU member states, as well as the possibility to align with similar ongoing initiatives within the EU. 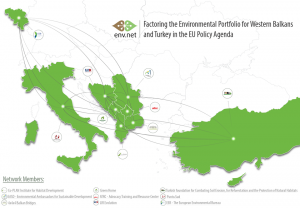 Why ENV-net factoring the environmental portfolio for Western Balkans and Turkey in the EU Policy Agenda? Recent natural occurrences such as repeated massive floods, and the EU accession obligations the Western Balkans and Turkey region must fulfil, highlight the immediacy of action required in the field of climate change and environmental protection. 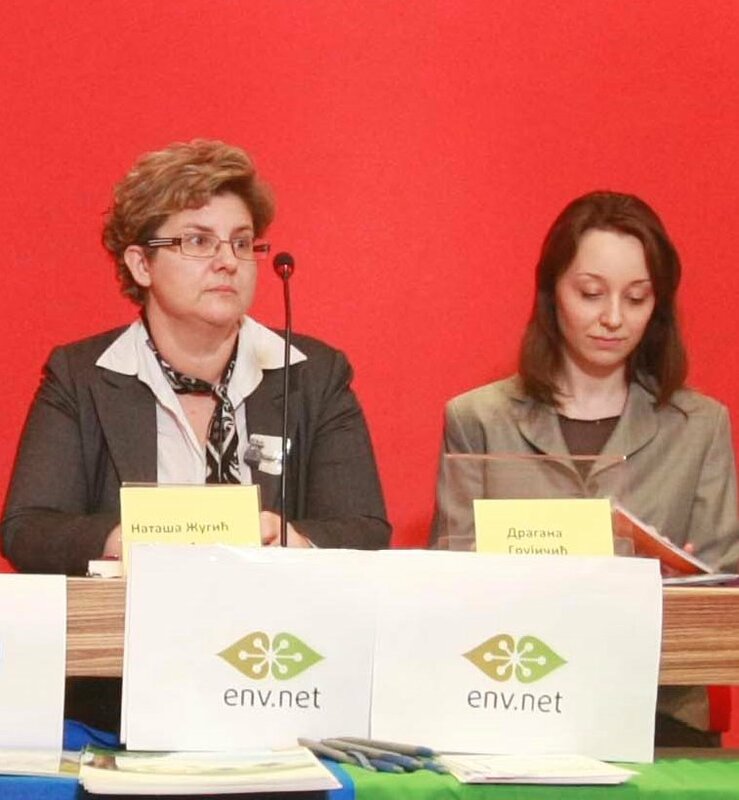 For it to be effective, such action requires a solid pan-regional commitment in monitoring, advocating and awareness raising in home countries and engagement in policy- discussions at EU level. It also requires well-established and qualified civil society and media actors to generate positive pressure on the relevant institutions, and keep the citizens informed in a way that is accessible and actionable. 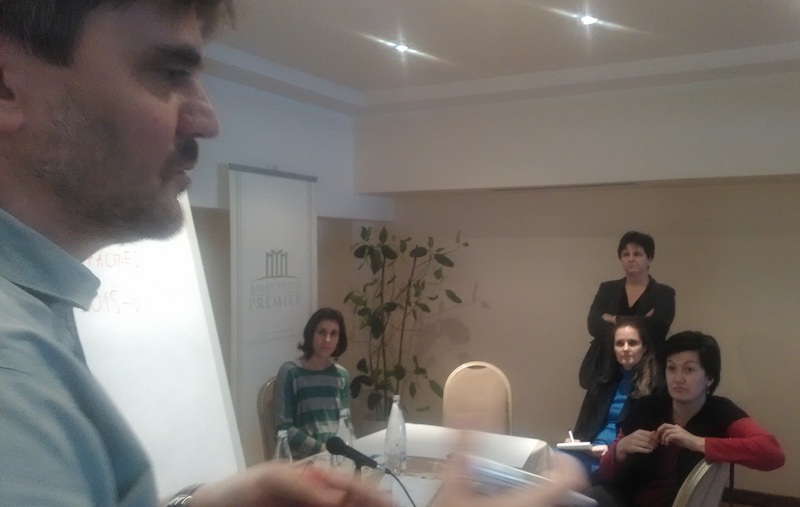 Studies show that, despite efforts made in this regard, the Western Balkan and Turkey region faces a number of challenges impeding progress, such as: limited local buy-in of the reforms, conflicting legislation, lack of a critical mass that can monitor developments and exert pressure on policy-makers, weak dialogue with institutions, poor understanding and coverage of climate change and environmental news, and very sparse resonance with current EU environment-related discussions such as circular economy aspects. 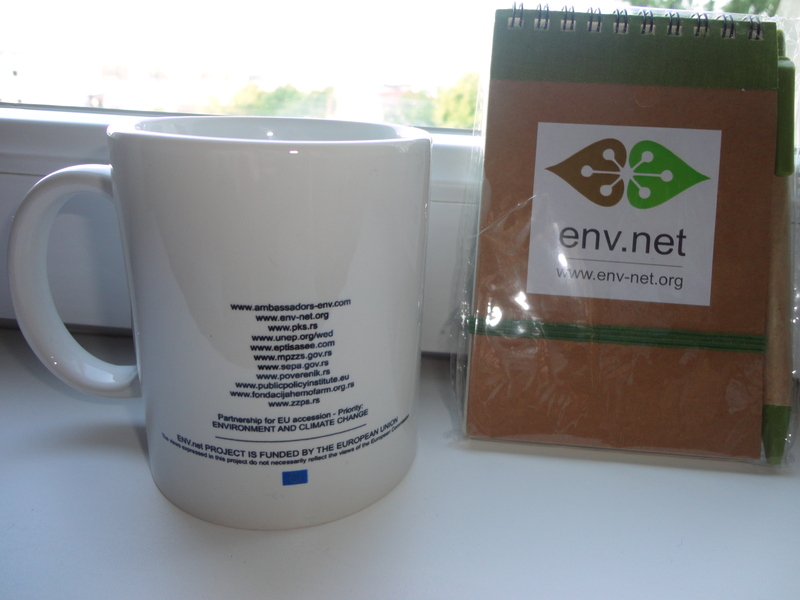 In response to these needs, ENV-net, as a proven regional network and advocacy actor, in the forthcoming three years will work on improving evidence-based policy-making and policy-influencing on climate change and environmental legislation in each of the ENV.net partner countries. 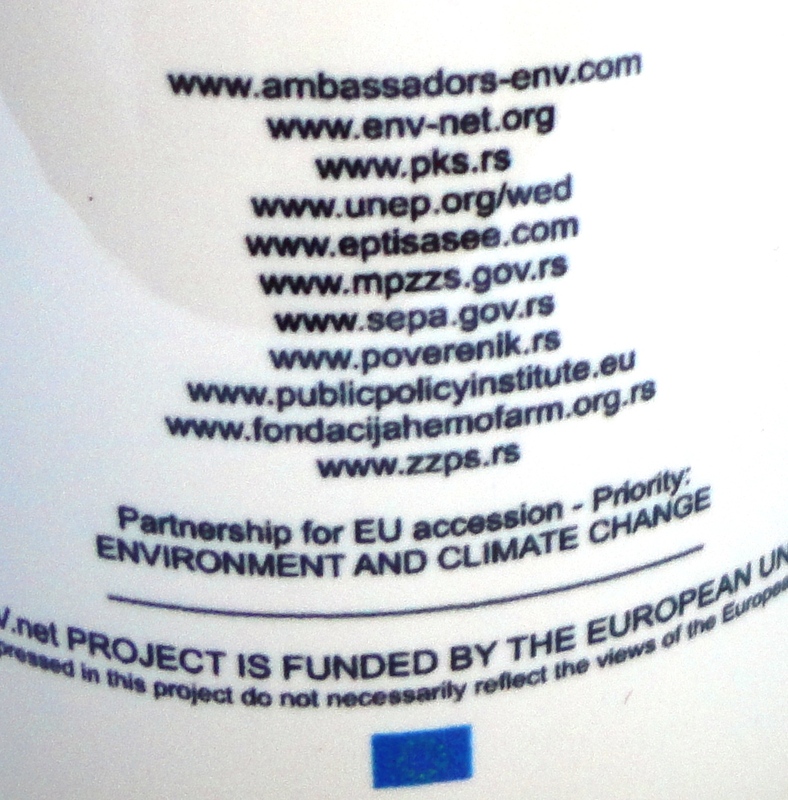 The network focus will be to generate region-representative evidence-supported input to contribute to EU discussions on matters of climate change and environment, and to explore and introduce to the region new inter-related aspects such as circular economy. 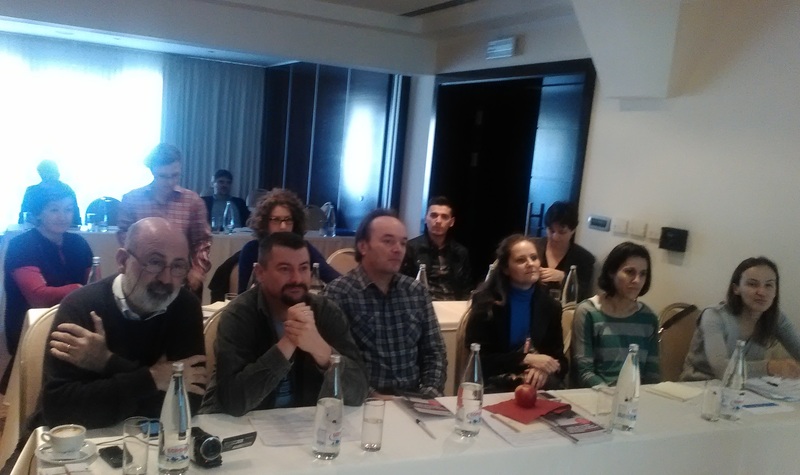 In the process, the network foresees to also technically and financially support civil society organisations and media in each of the network partner countries, to better understand and work on these issues. 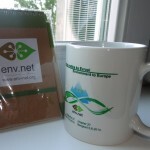 ENV.net team is inviting you to follow and join efforts. Stay tuned! The project will focus on biodiversity with a particular emphasis on plants and their associated species. 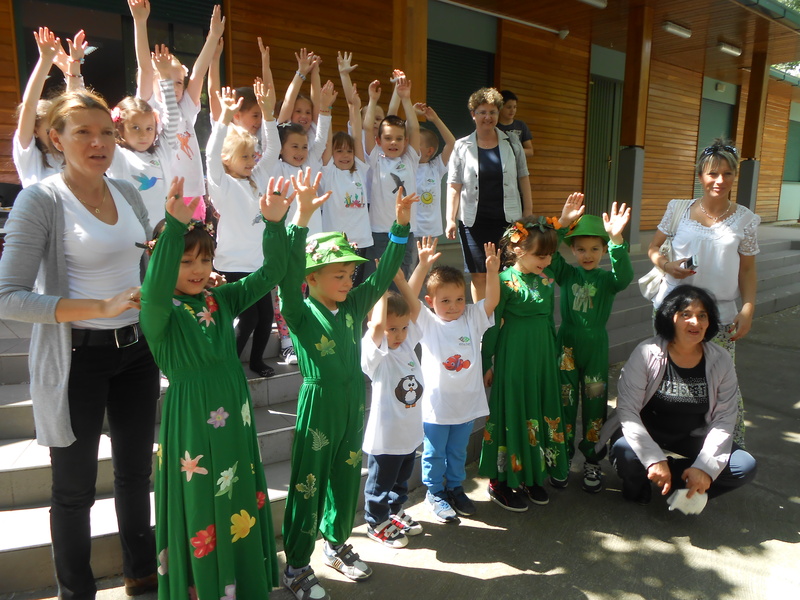 The project will include educational aspects, based on the FEE Educational Principles, and practical activities based on resources developed by the Royal Botanic Gardens, Kew with funding from the Wellcome Trust. 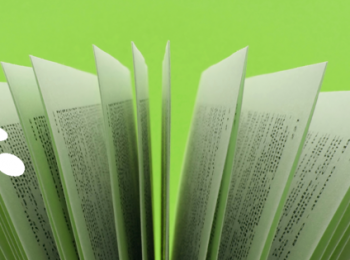 Kew and the Wellcome Trust will be acknowledged on all material adapted from the Great Plant Hunt (GPH). Where possible links with Toyota retailers will be encouraged, especially in MM5 countries (countries with strong Toyota presence). 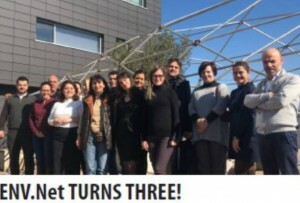 The project will run for five years. 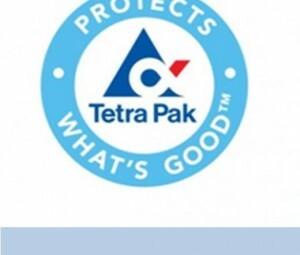 Toyota Motor Europe established the Toyota Fund for Europe to collaborate with non-profit organisations on community activities that support the environment, technical education and road safety. 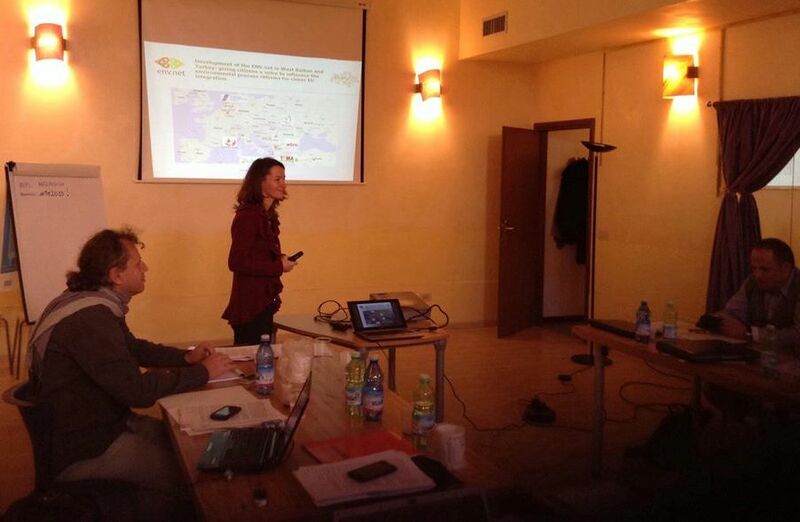 The projects supported by the Toyota Fund for Europe aim at raising awareness and creating positive change. The Royal Botanic Gardens, Kew. Kew’s mission is to be the global resource for plant and fungal knowledge and the world’s leading botanic garden. The Wellcome Trust is a global charitable foundation dedicated to improving health by supporting bright minds in science, the humanities and social sciences and public engagement. The Great Plant Hunt was commissioned and funded by The Wellcome Trust to mark the 200th anniversary of Charles Darwin’s birth. The materials were developed and created by the Royal Botanic Gardens, Kew. 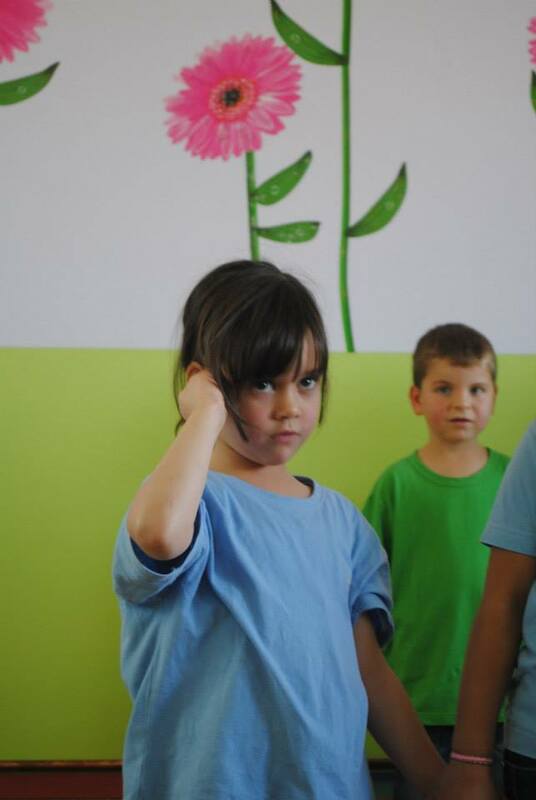 Develop module as part of FEE school programmes. 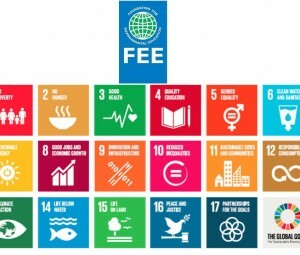 Materials prepared for schools will follow the FEE Educational Principles and will be living examples of Education for Sustainable Development. Interested schools wishing to take part, must register with the National Operator (NO) to begin. The NO approves the list of schools taking part. NOs register the schools and enter the school’s information to the FEE database. Following the guidelines and resources, schools will review the initial situation to get a baseline before any actions take place. This part is vital if schools are to track their progress and celebrate their success. 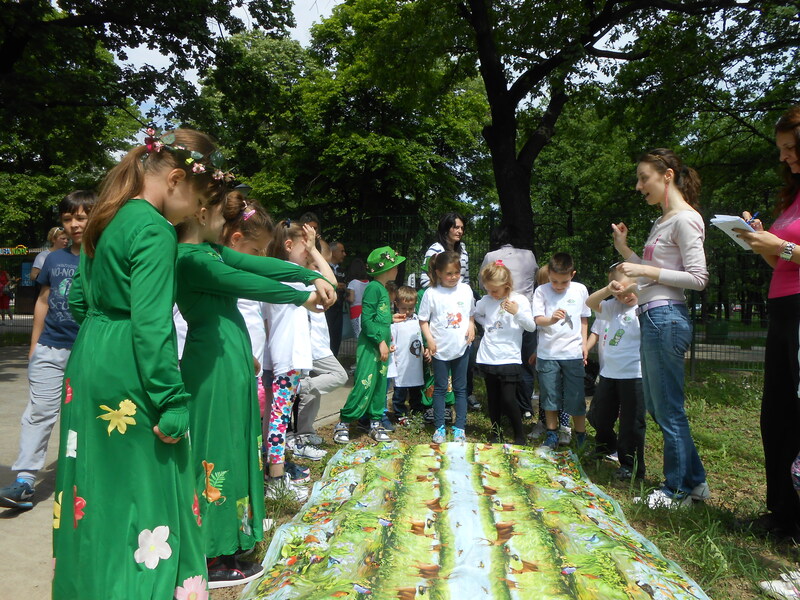 Schools must carry out a baseline Biodiversity Awareness Survey to examine levels of awareness surrounding biodiversity and its importance. There will be a number of essential questions which schools will need to answer. However, schools are welcome to come up with a more extensive set of questions as part of the review process. 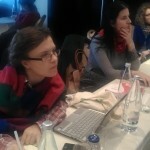 The questions will take into account the age and ability of the user. The results should be publicised. Another important element of the review is to create a habitat map of the school grounds and record the species present. 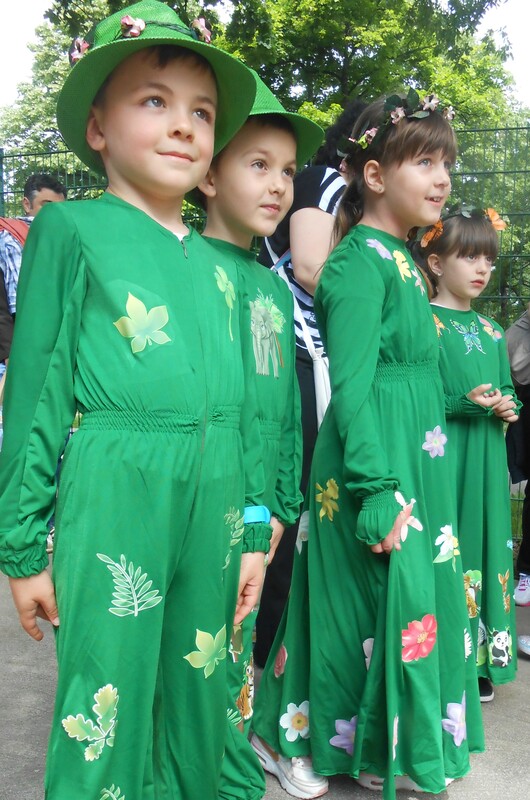 Schools will need to think about the seasons, weather and time of year, as biodiversity is strongly influenced by all. Schools will use ID charts adapted from Kew’s Great Plant Hunt. Sample ID charts will be made available. Schools will also be able to fill in/create their own ID charts based on the species they find. Students will be encouraged to take pictures of plants found on their schools grounds include some brief information, record them on the charts and upload them on the project page. The schools stories/information will be uploaded to ‘Exposure’. Guidelines will be circulated re. Exposure. 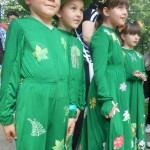 It is hoped that a basic database of plant species in schools around Europe will be created and added to in subsequent years. As well as local resources, it is hoped that knowledgeable family and community members and local experts will offer assistance in identifying species. The Review will have helped pinpoint some issues of concern in the schools, perhaps even in the surrounding area or nationally. Once schools have a clear baseline they can focus their attention on ways of helping biodiversity and various plant species. ü (If possible) increase the number of native species and the species diversity in the school’s environs. Examples of actions will be uploaded by the schools/National Operators and published on ‘Exposure’. 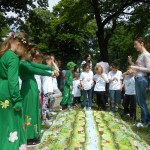 From the beginning schools should plan how they will measure the success of you Biodiversity Action Plan. The monitoring process is extremely effective when it comes to identifying progress and comparing past and present behaviour and attitudes. It is important that changes in behaviour and practical measures are measured over an extended period of time. Evaluate levels of awareness by revisiting the awareness survey carried out at the beginning of the year. 29 June 2015, UN Headquarters, New York, HLPF Stakeholder Consultation: This event present the results of an international stakeholder consultation on the mandate and means of stakeholder engagement in the HLPF.The High-Level Political Forum on Sustainable Development (HLPF) is proposed as the institutional “home” for follow-up and review of the post-2015 development agenda; and therefore presents a critical entry-point to ensure delivery of the post-2015 agenda and sustainable development more broadly. 26 June - 8 July 2015, UN Headquarters, New York, High-Level Political Forum on Sustainable Development (The 2015 meeting of the High-Level Political Forum on Sustainable Development (HLPF) under the auspices of the UN Economic and Social Council (ECOSOC)): The theme of the meeting is “Strengthening integration, implementation and review – the HLPF after 2015.” The first part of the meeting consist of moderated dialogues on a variety of issues, including how to move from vision to transformative action, the role of the private sector in implementation, how the HLPF can support national action, involvement of scientific communities in implementation, regional support for national implementation, small island developing states (SIDS) and investment in sustainable development. The second part of the meeting comprise a ministerial segment, which is expected to include dialogues on developing a transformative integrated agenda, emerging issues for the future, communicating and implementing a universal agenda, shaping the HLPF for the next 15 years, reviewing and monitoring progress, realizing the sustainable development goals (SDGs), and transitioning from the Millennium Development Goals (MDGs) to the SDGs. 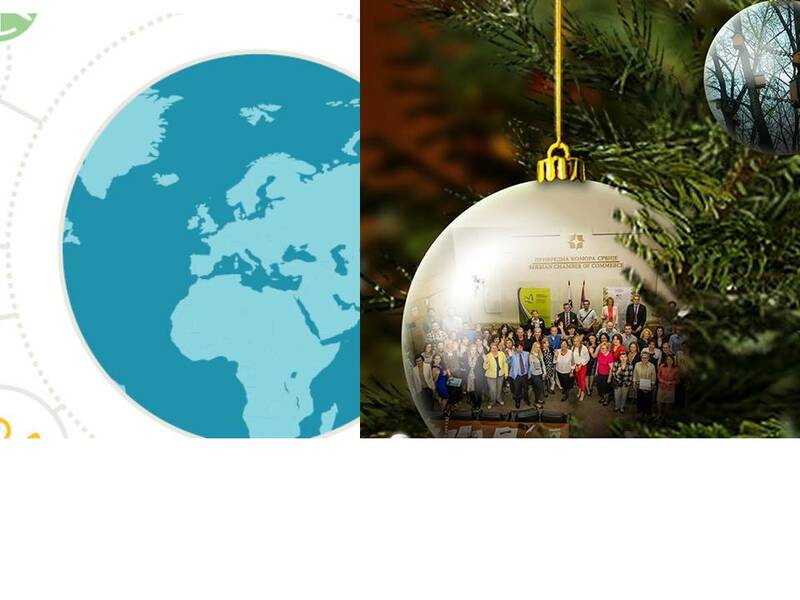 EASD is pleased to share with you document: Towards an Integrated and Inclusive Follow-up and Review of Natural Resources. Two recommendations aim to ensure that the effective follow-up and review of natural resources in the post-2015 development agenda is aligned with the principles of integration, participation and inclusion: 1) Thematic reviews of natural resources as a crosscutting issue, from tenure to their use, should be carried out under the HLPF; 2) National multi-stakeholder and rights-holder initiatives for follow-up and review, within the context of a renewed global partnership for development, should be established or strengthened. 20-22 July 2015, Economic and Social Council Meeting: Will consider and take action on the Committee’s recommendation at its Coordination and Management Meeting. 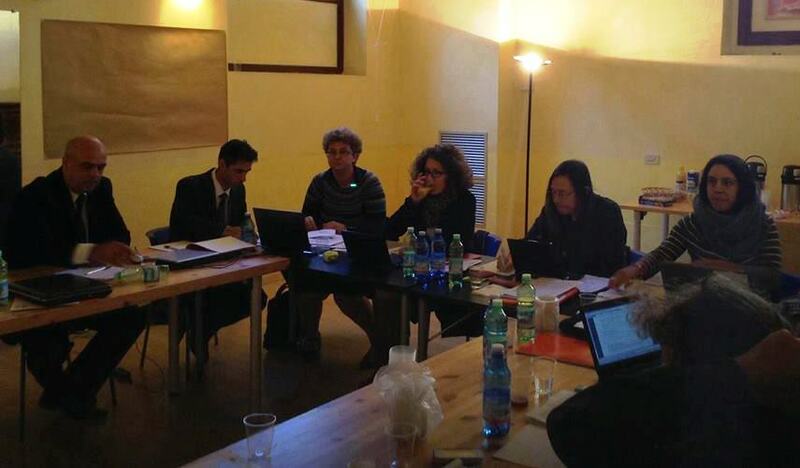 The Committee on Non-Governmental Organizations at its 2015 Resumed Session, held from 26 May to 3 June 2015, decided to recommend Special consultative status with the Economic and Social Council to our organization EASD – Environmental Ambassadors for Sustainable Development. 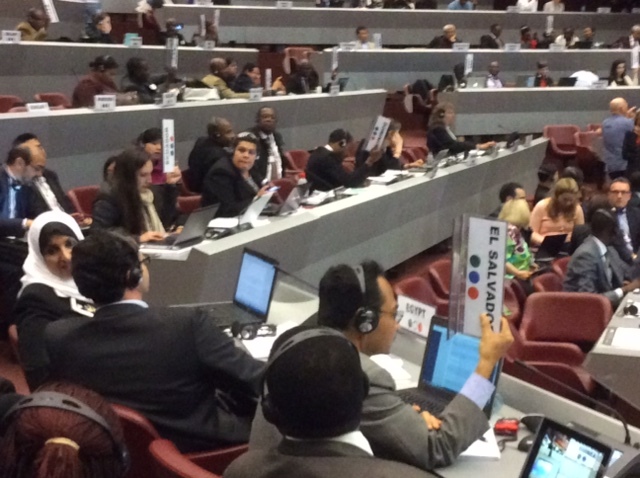 Delegates from more than 90 countries took the unprecedented step of voting for a global ban on pentachlorophenol – a proven toxic pesticide and contaminant found in wildlife and human biomonitoring studies worldwide. 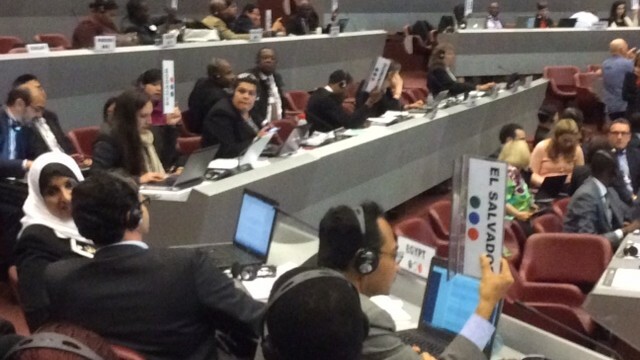 The historic vote came at the combined meetings of the Basel, Rotterdam, and Stockholm Conventions – which usually make decisions by consensus – after India repeatedly blocked action. 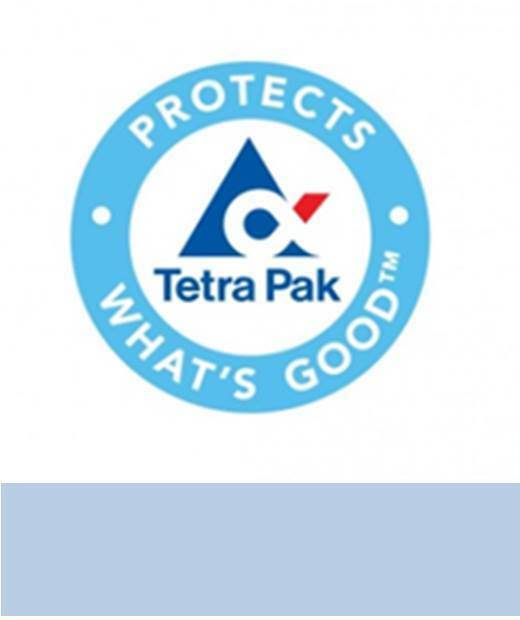 The delegates of the Stockholm Convention also supported international bans on two other industrial chemicals that harm the global environment and human health: chlorinated naphthalenes and hexachlorobutadiene. This year’s NOM took place in Cardiff, from 4th to 6th Decemeber, and was organized by Keep Wales Tidy team in the premises of Maldron hotel. Workshops, presentations, group discussions and many interesting sessions made all participating National Operators fully involved. After the warm welcome from Lesley Jones, Chief executive of Keep Wales Tidy, Laura Hickey (Member of the Board with responsibilty for Eco-Schools) introduced Peter Davis – Wales’ Commissioner for Sustainable Futures. 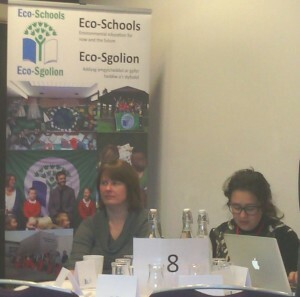 Sessions related to 7 steps were being introduced either by Brid Conneely, International Eco-Schools Director or Laura Hickey and facilitated by Team Wales. 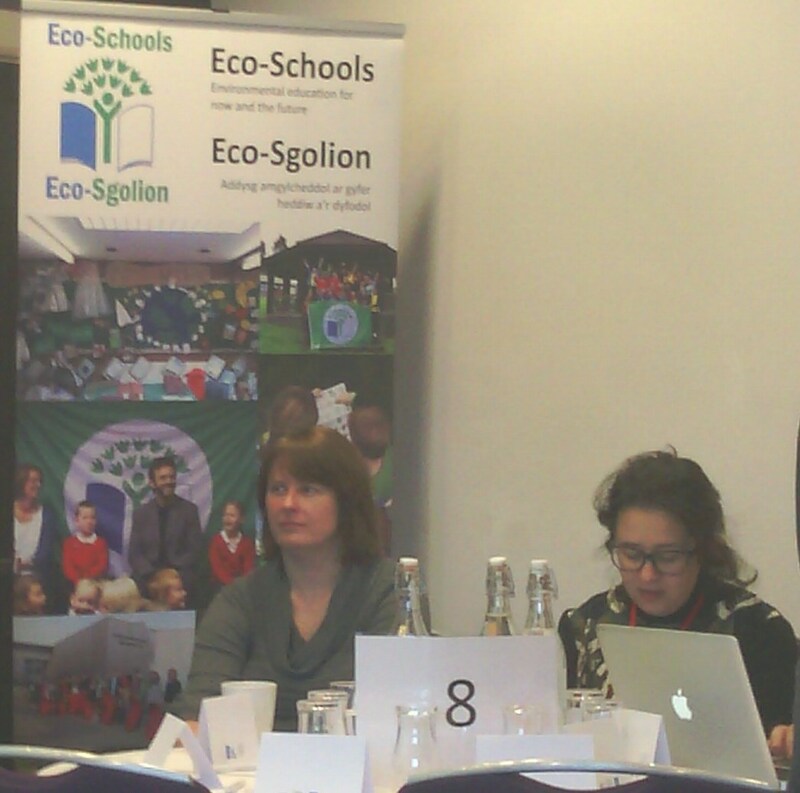 Several Eco-Schools’ showcases presented the good practice in Welsh schools. The Environmental review session, Action planning, Monitoring and evaluation, Social media connections, 21st century skills: linking to the classroom and Eco-Schools report session were followed by FEE Environmental education principles presentation and group work. Decade for ESD, conference update, was given by Lesley Jones, Yukiko Tsuburaya, Kenza Khallafi and Paul Pace. FEE’s new flags supplier, Semaphore, introduced themselves. Conference dinner was served in the beautiful banquet hall of Cardiff Castle. 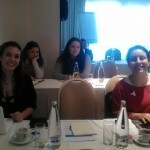 Young Reporters for the Environment were involved in the Meeting as well. 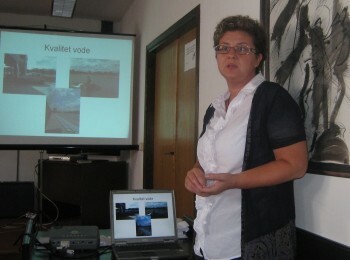 NOM was filled with positive attitude and cooperation, sharing of knowledge, experience and fresh ideas among operators. 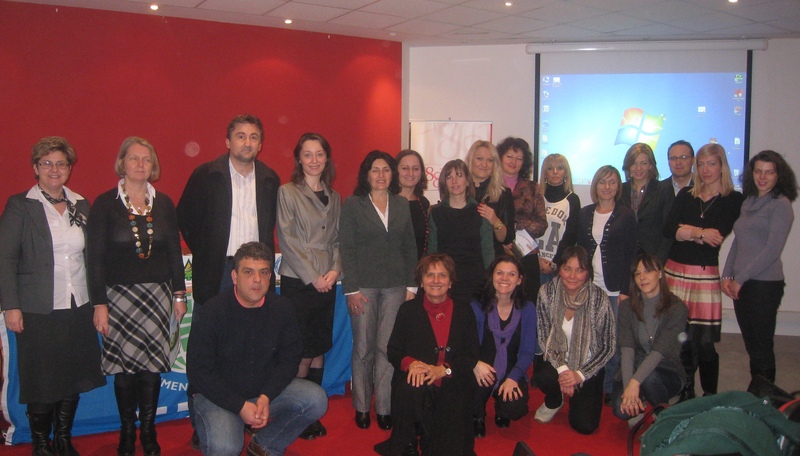 Many attendees returned to their home countries with precious suggestions and materials for further improvements of the Programme after successful 20 years. 9:30 10:30 Strategic Planning and public involvement Nadya Boneva, ECRAN Expert The main needs of the approximation process, role of strategic planning in organising approximation process, experience from old and new Member States and Candidate Countries, the most important planning documents for the approximation process. 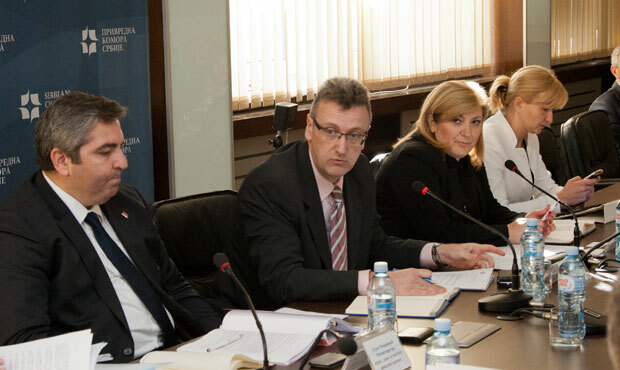 On January 30, 2014 in the premises of the Government of Serbia Office for European Integration held a thematic meeting of the SECO mechanism. 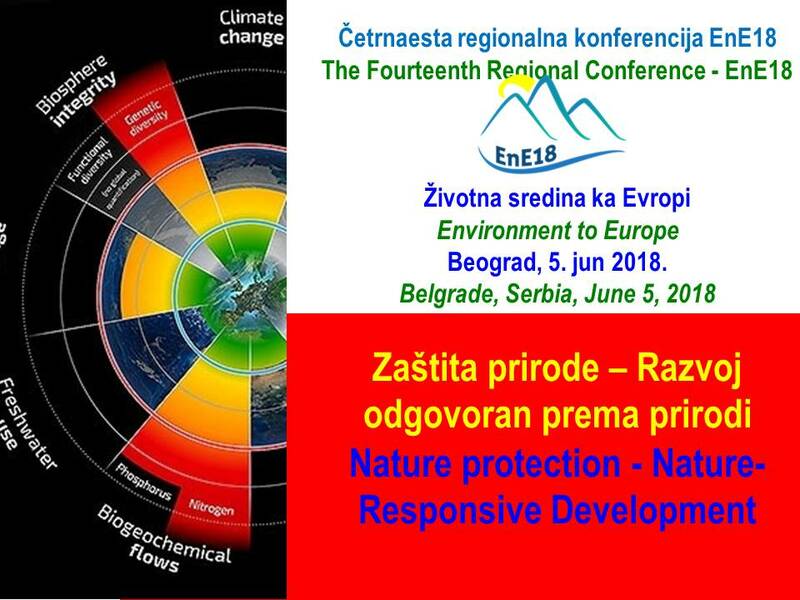 EASD is the leading organization for SECO sector environment and energy, together with CEKOR – Center for Ecology and Sustainable Development and the Center for Civil Society Development Protecta. 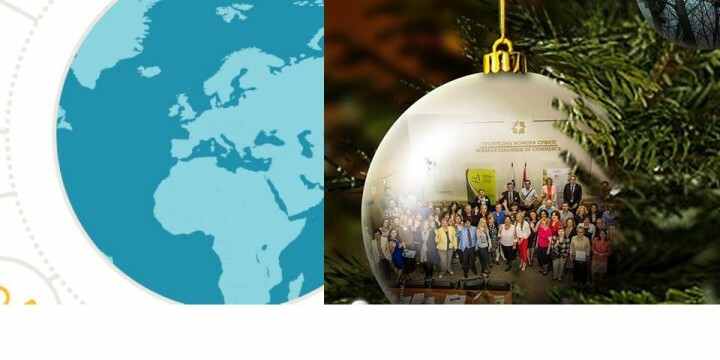 3 The participation of civil society in the programming of IPA II – Indicative calendar of events for programming in 2014. year. 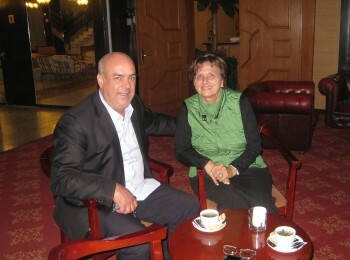 Representative AOR at this meeting was Filip Jovanovic. Representatives of other leading CSOs were presented, as well as representatives by competent Ministry (of Energy, Development and Environmental Protection) and Office for European Integration. 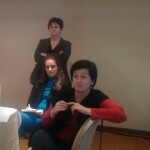 CSOs - Calls on Serbia to engage civil society through a constructive consultative mechanism during the entire accession process since it has a major role to play as a critical observer of the continued implementation of European reforms, while ensuring that dialogue and good neighbourly relations with Serbia’s neighbours take firm root within society; stresses the central role of active and independent civil society organisations (CSOs) and civil society’s role as a watchdog; underlines the importance of dialogue with CSOs and stresses the crucial role of civil society actors in contributing to enhanced regional cooperation on social and political issues; welcomes the government’s improved cooperation with NGOs, but calls for their broader consultation in policy making, including the formulation of policies and legislation and the monitoring of the authorities’ activities; calls on the Serbian Government to work increasingly with European institutions in order to ensure better access to European funds made available to civil society organisations, with a view to supporting their work as essential actors in Serbia’s European integration process; insists that state institutions must act in a transparent and accountable manner; urges the Serbian authorities to consult civil society and the business community and to include them in working groups on the drafting of new legislation. 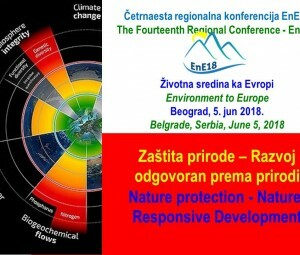 Environment and Climate change- Considers it regrettable that too little progress has been made in the areas of the environment and climate change and calls on the Serbian authorities to adopt a comprehensive climate strategy in line with EU targets as quickly as possible; urges the authorities to step up reform efforts in the area of sustainable management of natural resources. 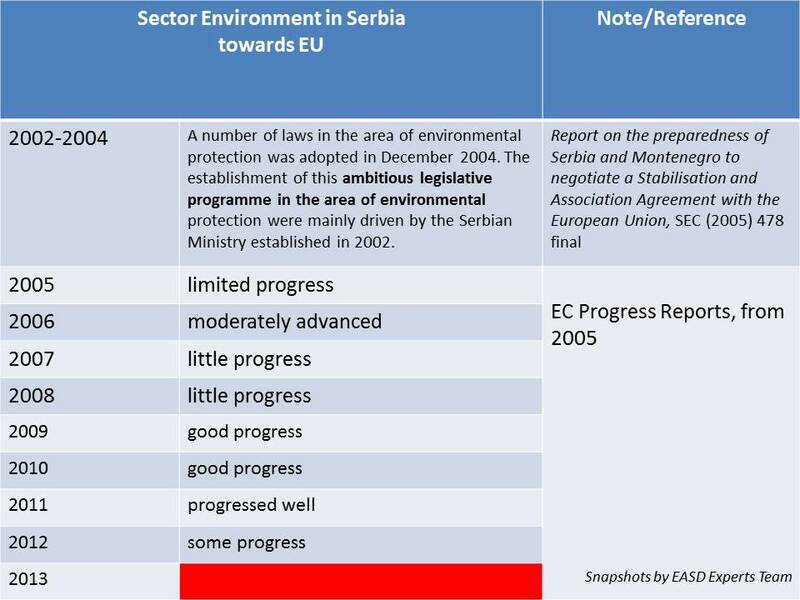 Regrets the lack of progress and continuing delays in the practical implementation of the renewable energy framework; notes that Serbia lags behind other applicant countries in the utilisation of renewable energy sources and expresses concern that Serbia’s 2020 renewable energy targets will not be met; emphasises the need for transparency in government consultation processes and regrets the Serbian authorities’ failure to take account of the views of international financial institutions in the adoption of the Power Purchasing Agreement (PPA); Urges the Serbian authorities to improve consumer protection policies, in particular with regard to general food safety principles and the establishment of a national reference laboratory; considers it regrettable that the law on genetically modified organisms has not yet been aligned with EU legislation; Supports the Belgrade city authorities’ campaign for Belgrade as European Capital of Culture 2020, and encourages related projects aimed at bringing Belgrade and Serbia culturally closer to the EU, in particular with regard to interethnic coexistence, multicultural understanding and interreligious dialogue. 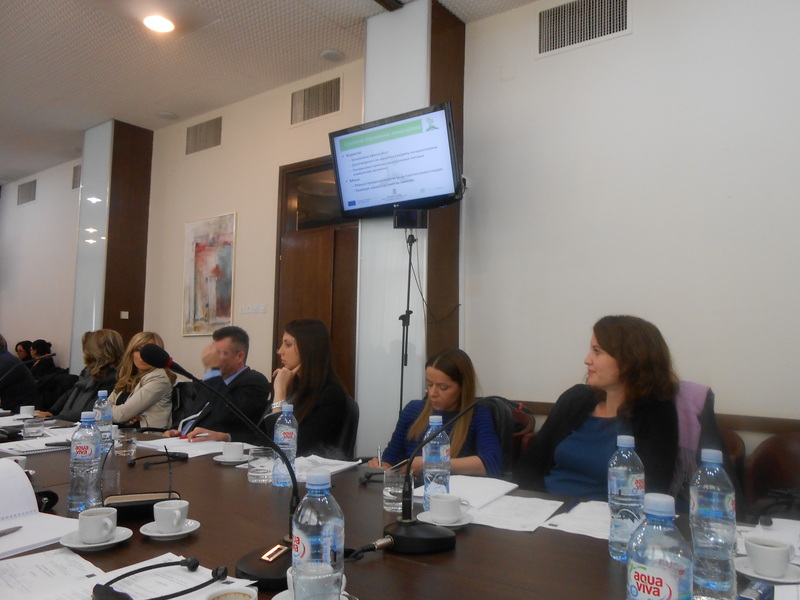 In the Palace of Serbia, on 16 December 2013th , Workshop for strategic planning of further work SECO mechanism is organised. 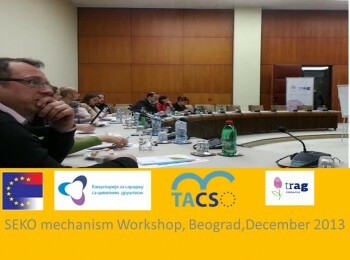 Workshop organizers are: the Office for European Integration of Serbia – Department of Planning, Programming, Monitoring and Reporting on EU Funds and Development Assistance, Office of cooperation with Civil Society – Government of Serbia, TACSO project and TRAG foundation. Agenda includes reviews the functioning of SECO mechanism, a discussion on the current mode and define recommendations for improvement of the mechanism. 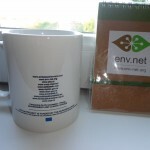 EASD is the leading organization in SECO mechanism for Environment and Energy. 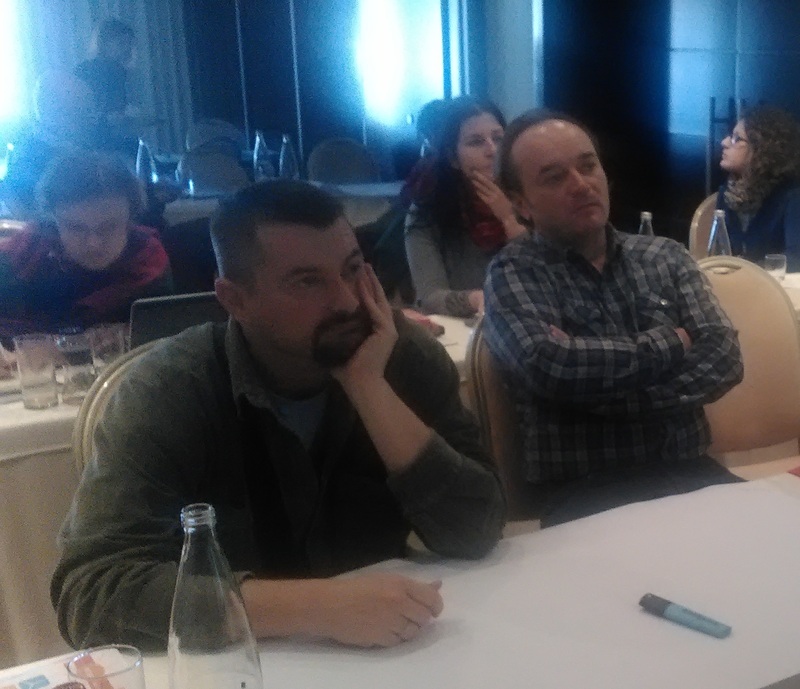 The representative of the EASD-ENV.net Serbia in the workshop is Filip Jovanovic. 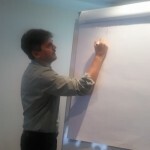 The meeting is also attended by organisations in the same cluster, i.e. 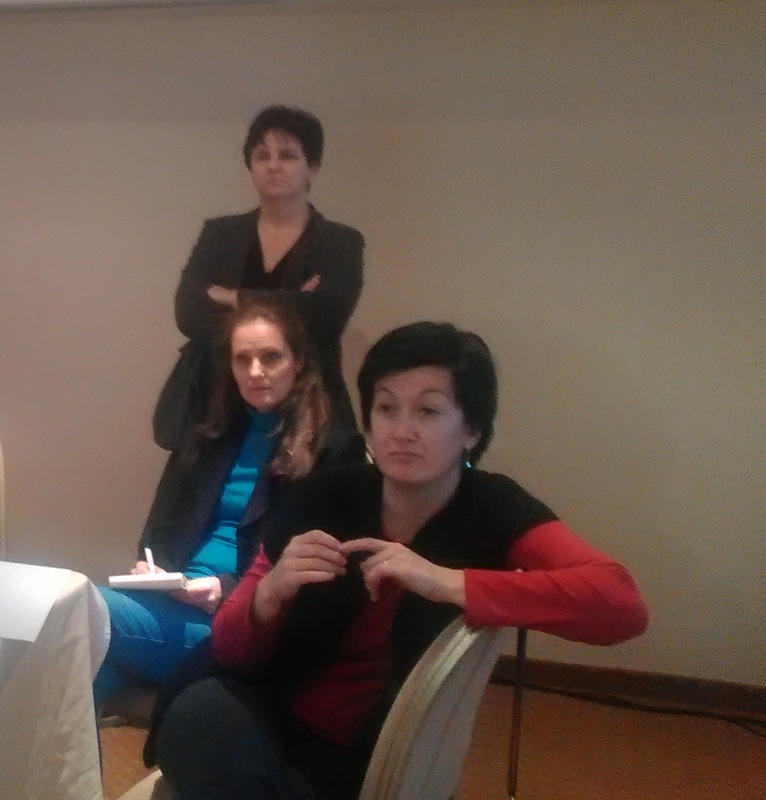 representatives of organizations CEKOR and Young researchers if Serbia. 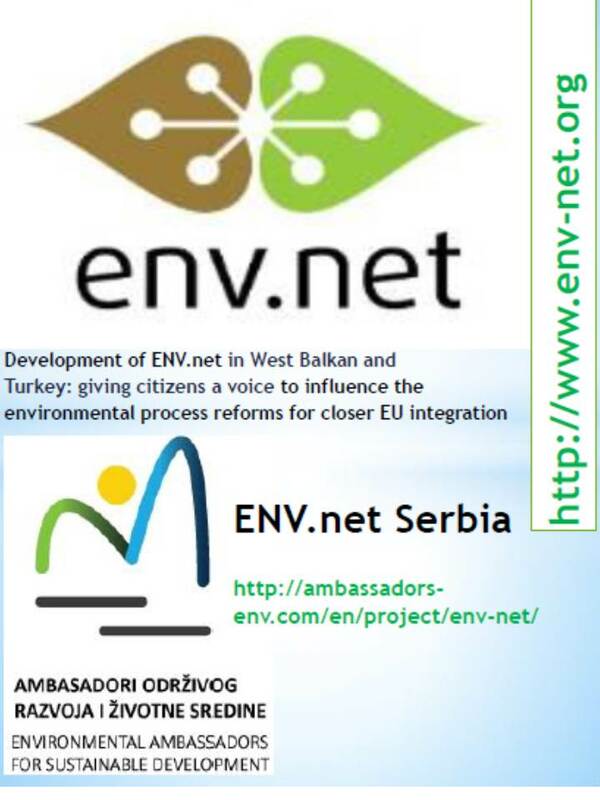 Environmental Ambassadors representatives attended the presentation of the Twinning project „Creation of a monitoring, reporting and verification system for the successful implementation of the EU Emissions Trading System“ held in the Chamber of Commerce and Industry of Serbia on November 13, 2013. 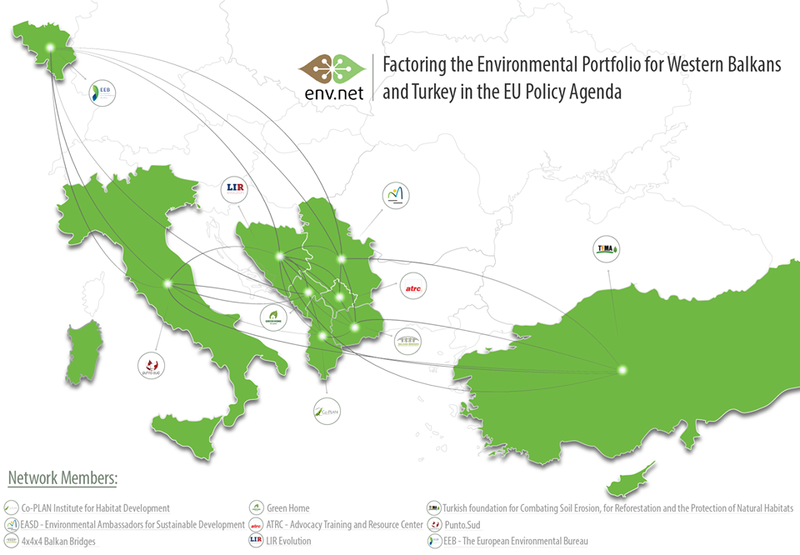 In addition, we would like to to underline UN climate talks in Warsaw side event: Opportunities and Challenges for Climate Action in Western Balkans and Turkey, held on November 11 in Warsaw. 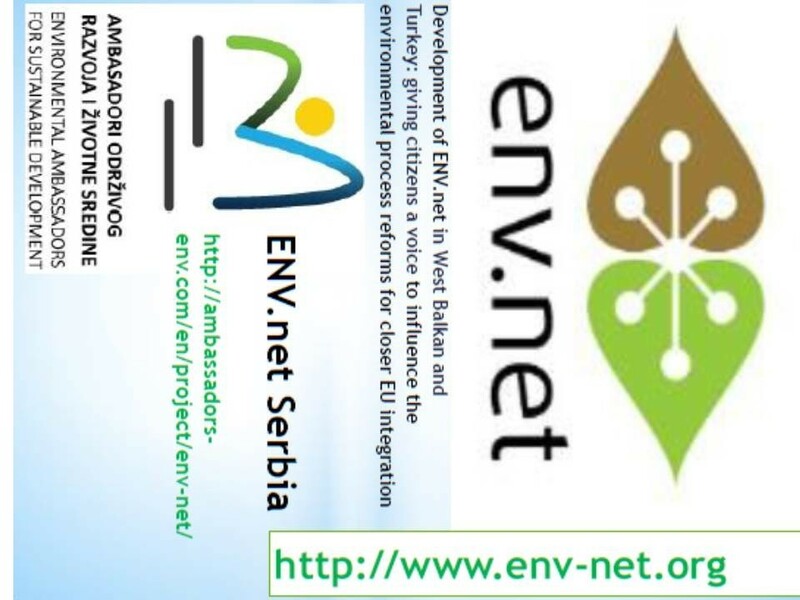 The third partnership meeting of organizations from six countries participating in ENV.net project is being held from 5-8. 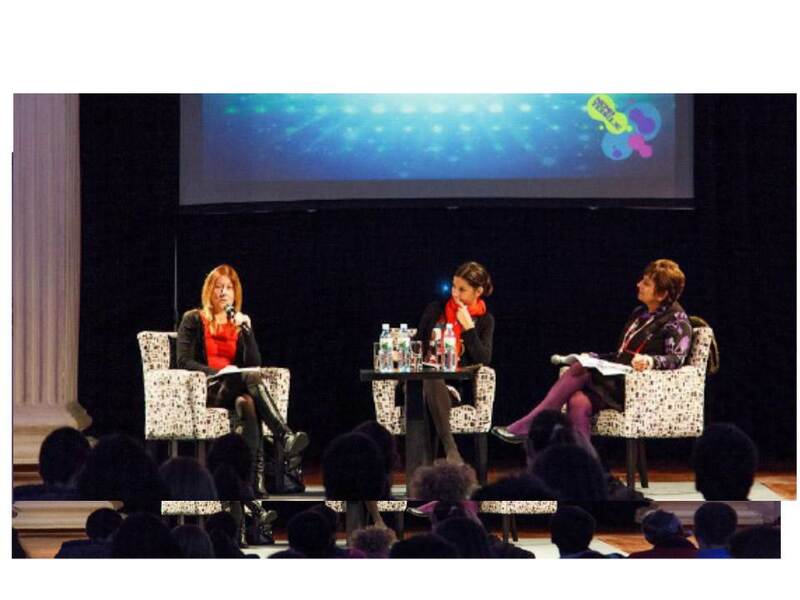 November, 2013., in Milan, Italy. 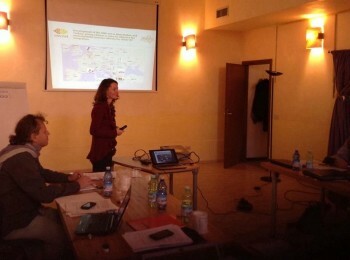 The first day was dedicated to presentation of activities undertaken in the last months and description in details how each partner organisation is planning to implement activities foreseen in the project strategy in 2014. 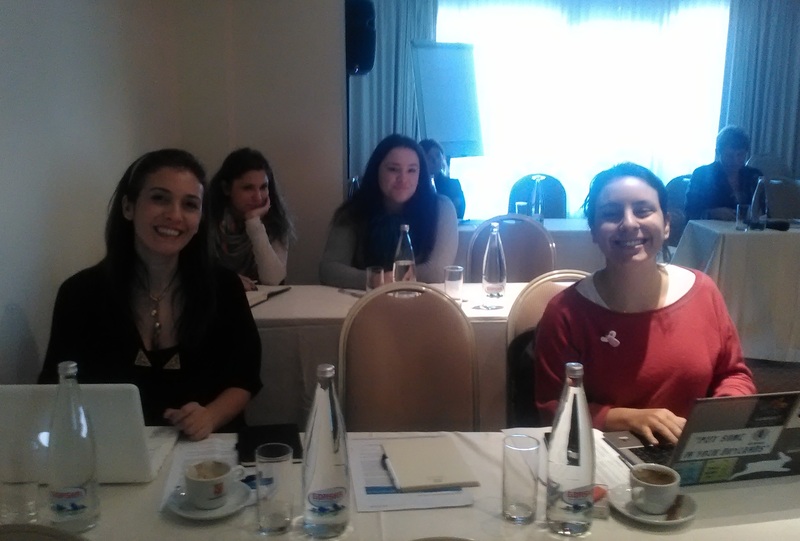 In the afternoon of the 1st day a practical training session on the use of social networks was delivered by Claudia Vago, consultant. The 2nd day was dedicated to the EEB Training session on advocacy and monitoring the approximation process to the environmental acquis. 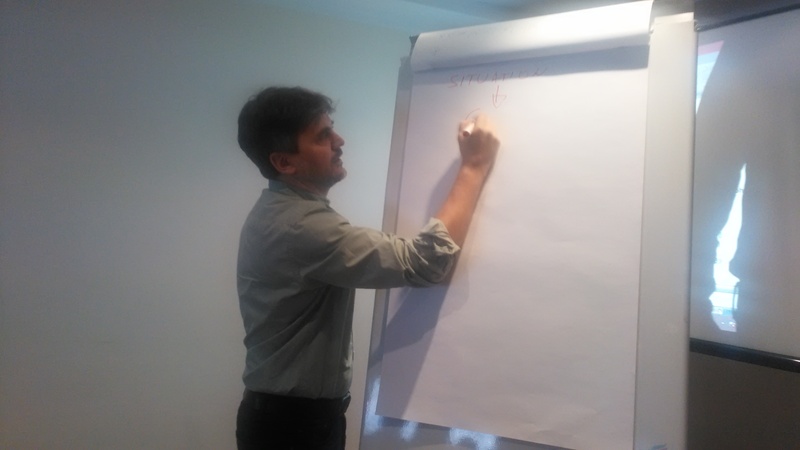 In the 3rd day, a Training of Trainer (ToT) was organised in order to identify a common methodology to be used, followed by a short information session on how to use the website, to add pages and posts. 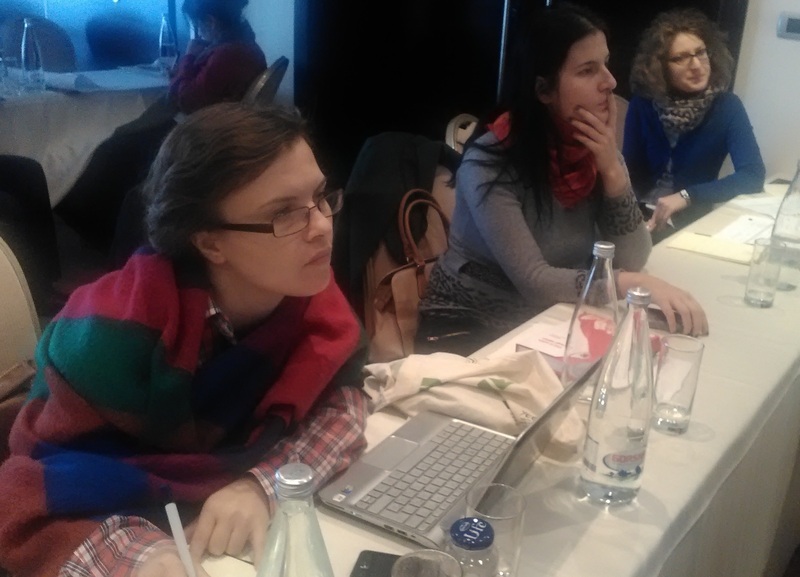 The 4th day was focused in defining the project strategy and specific activities for 2014. Moments from the Meeting in the Gallery of pictures. 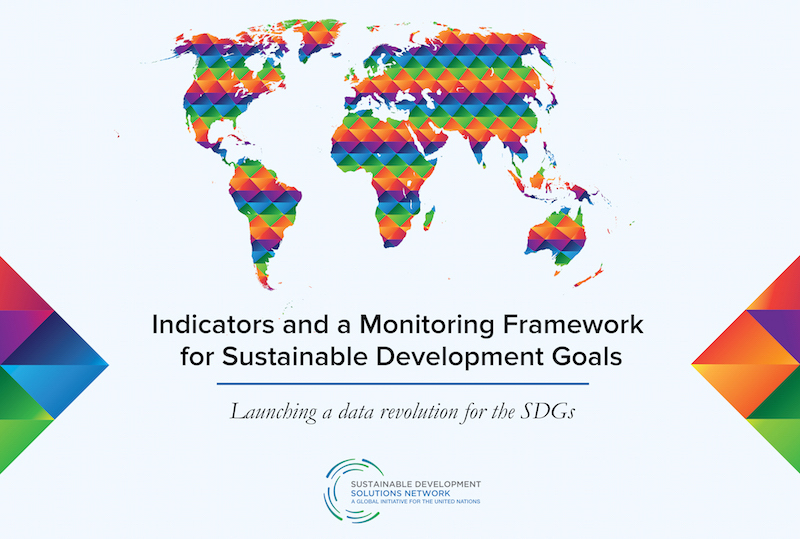 The monitoring and evaluation process for the United Nations Decade of Education for Sustainable Development (DESD) is designed to capture a variety of activities related to ESD and take stock of the growth of ESD throughout the DESD. The final assessment and report will summarize and highlight the accomplishments of the DESD, convey lessons learnt and point the way for post-Decade efforts. UNESCO call for inputs by answering before 31 October 2013 the online questionnaire. 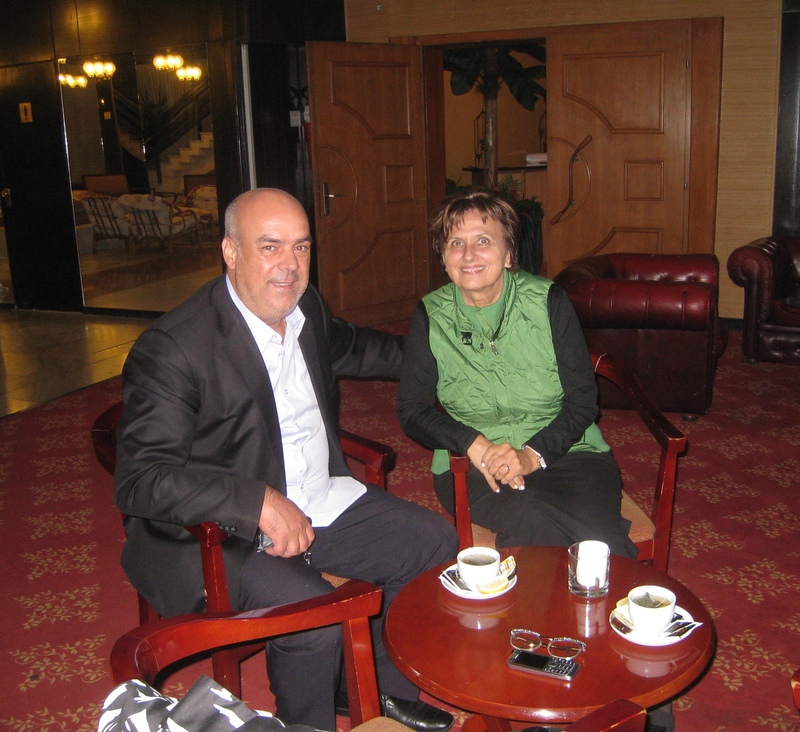 Mr Riza Epikmen, member of the FEE Board of Directors , as the International Mentor for FEE Serbia (Environmental Ambassadors for Sustainable Development), visited Serbia from June 14-16, 2013. 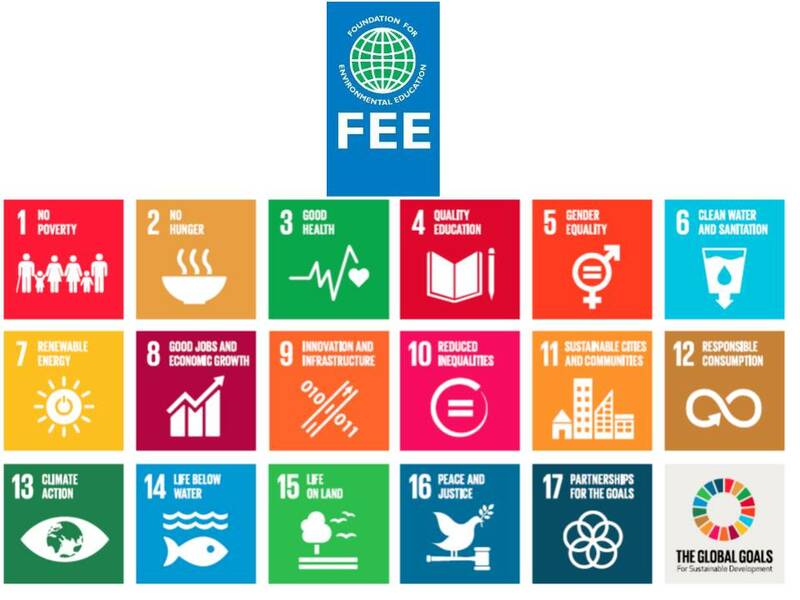 The FEE Board responsibilities include ensuring compliance with the organisation’s objectives/values, recommending policies/plans, approving membership applications and monitoring performance in relation to plans, budgets, etc. 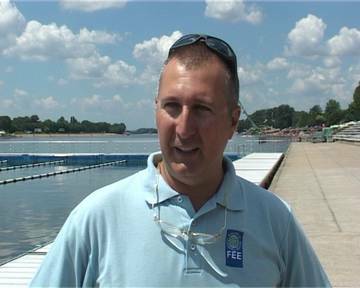 In 2011 and 2012 International Mentor for FEE Serbia was Michael Ierides. 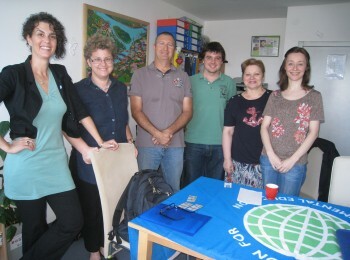 On June 14th he visited FEE Serbia office, where he had the first meeting with EASD core team, including National FEE Mentor Andjelka Mihajlov, National Blue Flag Program Coordinator Sandra Radunovic and Assistant to National Eco-Schools Coordinator Dragana Grujicic. 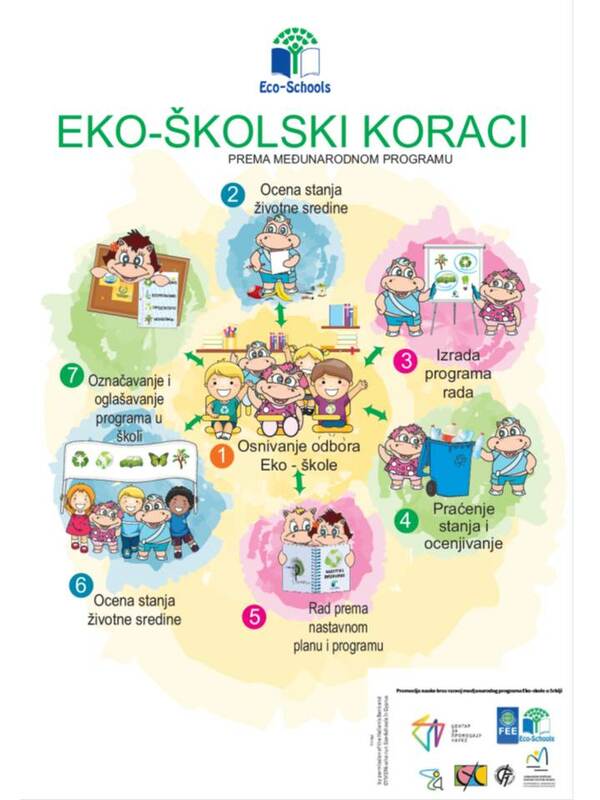 In order to be informed of Eco-Schools Program implementation, he visited school “Drinka Pavlovic” , applied for “Eco-School” award and waiting for Jury decision. 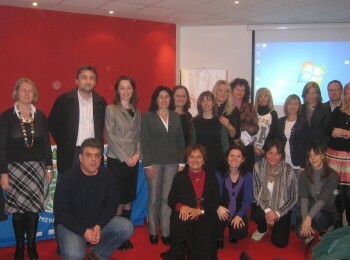 Dedicated teachers and director presented how the school is implementing program. 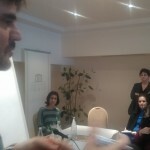 On meeting in the premises of Tourist of Organization of Serbia, members of FEE National Council and ministries competent for environment and tourism representatives have constructive discussion with Mr Epikmen, focused on his advice related to Green Key Program implementation and plan of FEE Serbia to become FEE full member in 2014. 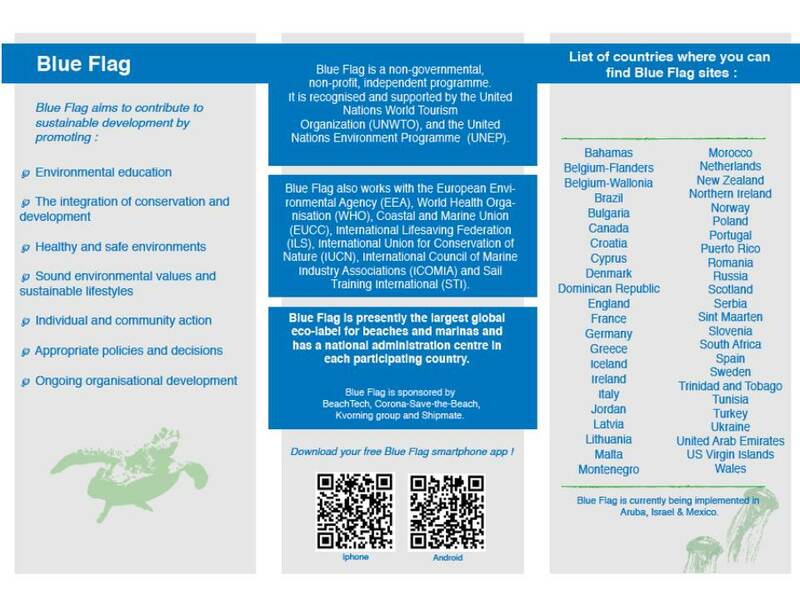 On June 15th, he has site visit to 2013 Blue Flag Beach (Ada Ciganlija-Sava lake) and participated in ceremony for Blue Flag 2013 season opening. Minutes from Monitoring visit are in the Gallery. Respect and promotion of the professional ethics, human rights and freedoms. 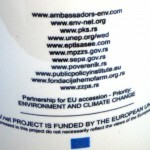 Within the project “Support to the Department of Planning, Programming, Monitoring and Reporting on EU Funds and development assistance to the Office for European Integration of Serbia, for establishing a partnership to promote the use of international assistance “in March 2011 the mechanism was established, enabling civil society participation in planning and monitoring of EU and other international development assistance. 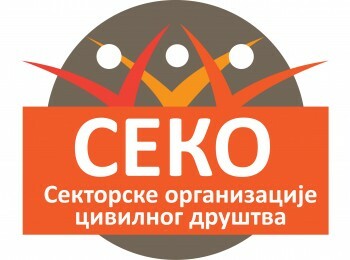 Center for Civil Society Development PROTECTA. 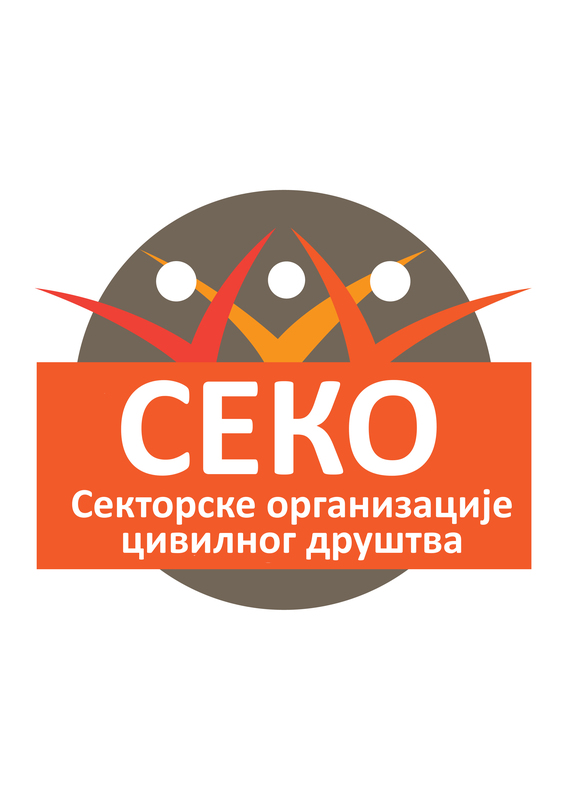 SEKO Leading organizations are forming network NGO SEKO Forum “Environment and Energy” to work together to provide opinion related to official documents in the programming process, the identification of priority programs / projects, defining the strategic basis for defining priority projects for international assistance. 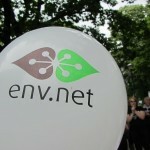 48 CSO are the member of this network, and it is open for the new members. 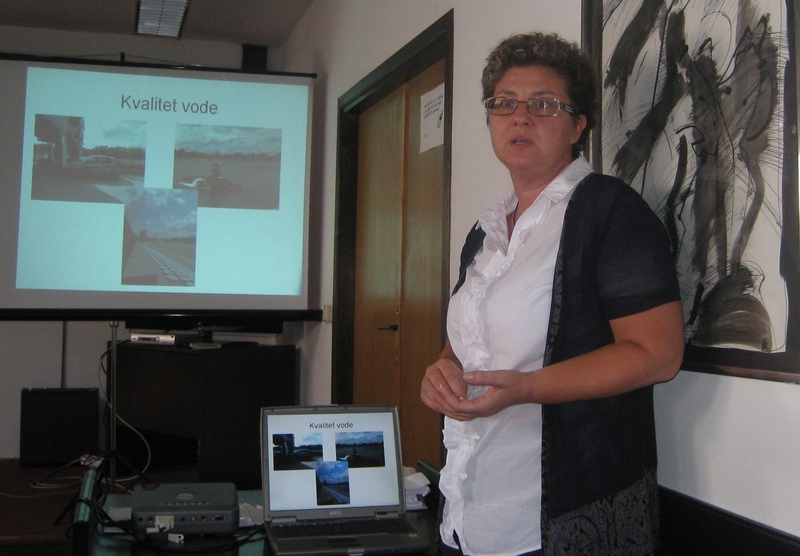 More details on activities in Serbian language……..